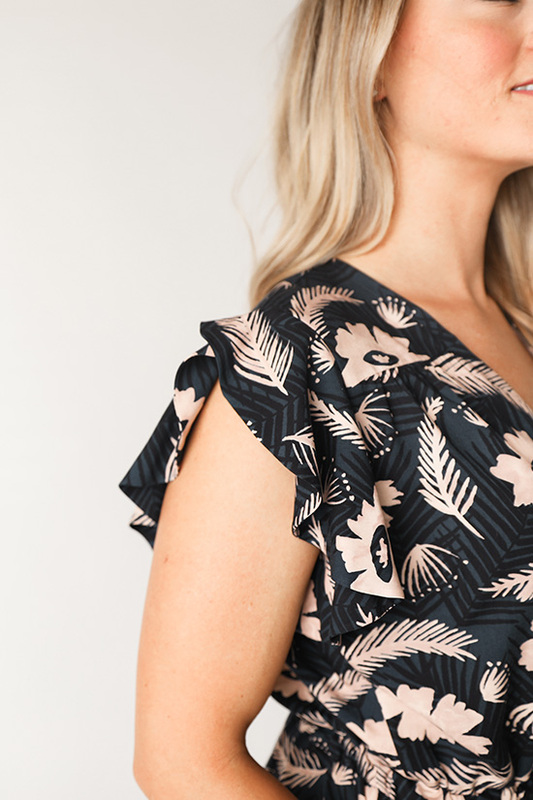 Buy the Orchid Midi dress sewing pattern from Chalk and Notch. The Orchid Midi Dress is a wrap bodice with a midi length skirt. View A has ruffle sleeves. View B has long sleeves with a gathered cap and wrist. The Orchid Midi is designed to work with the Parasol Jumpsuit by Ensemble Patterns for added combinations. Suggested fabrics: This style is designed for a light to medium weight woven fabric with nice drape e.g. Rayon Challis, Rayon Crepe, Rayon Voile, Cotton Lawn, Cotton Voile, Cotton Shirting, Linen, Double Gauze. 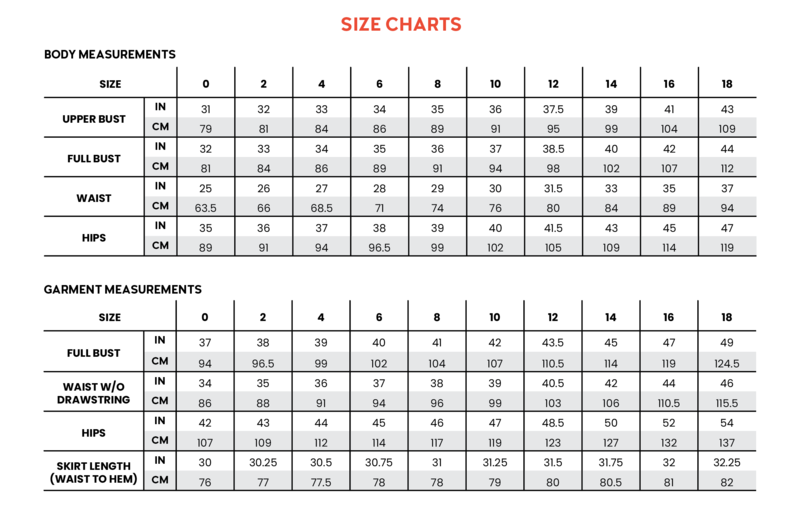 Fabric requirements: 115cm wide // 4.1m – 4.5m, 150cm wide // 2.7m – 3.4m. Sizing: 0-18, approx. UK 2-20. 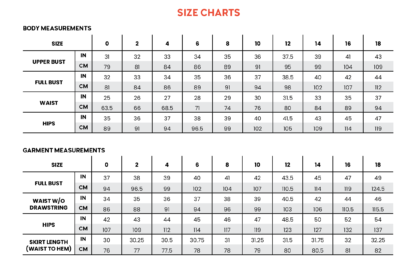 Please see the size chart and finished garment measurements. Notions: 1/2 yard (0.4 M) of Lining for pocket bags, 1 yard (0.9 M) of Tricot fusible interfacing or light weight fusible interfacing, 1 yard of 1/2” (1.2 cm) elastic, 3/4 yard 3/8” (1 cm) elastic: VIEW B ONLY, Safety Pin. PDF pattern includes: Print at Home Paper Size: US Letter & A4, Copy Shop Files Included: A0 3 sheets & US Copy Shop 36″ x 89″, Layers Function Included: YES. This might be the prettiest dress I’ve ever made. The pattern is drafted so well and has such a great fit. I’ve added a bit of length to my sleeves, bodice and skirt because I’m tall. Plus I lowered the front slit a bit. 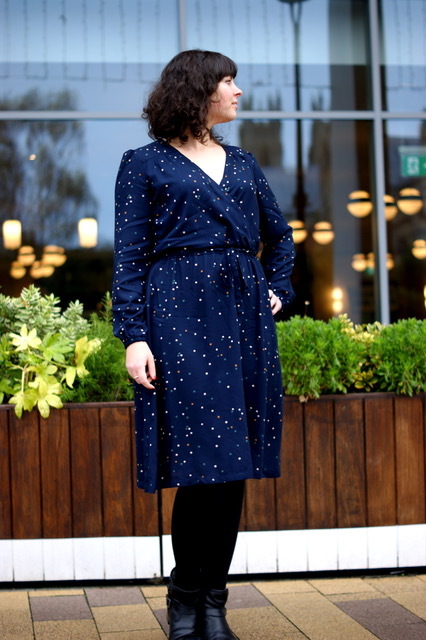 The fabric is this light weight rayon twill, which has perfect drape for this dress but it’s very tricky to work with. I love that the long sleeve option has the perfect amount of minimal puff/gathering on the sleeve cap. The tutorial is excellent and you will be in very good hands here. 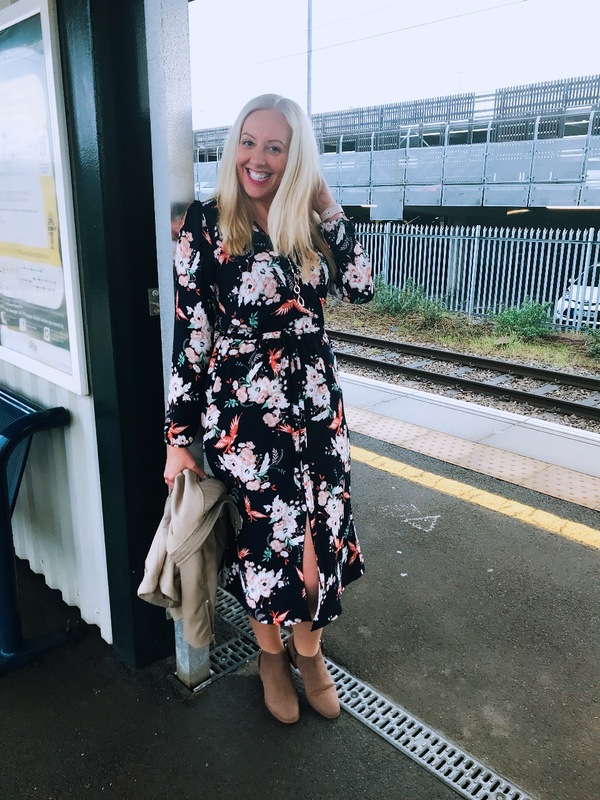 I was attracted to the Orchid Wrap Dress as I loved its floaty style and the long sleeves. 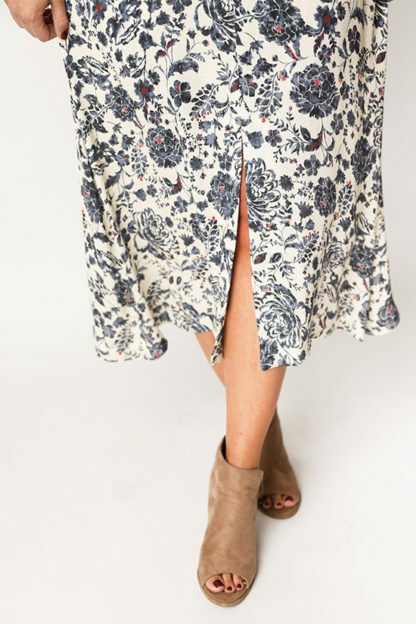 I was looking for a dress for the springtime and this one has turned out to be perfect. 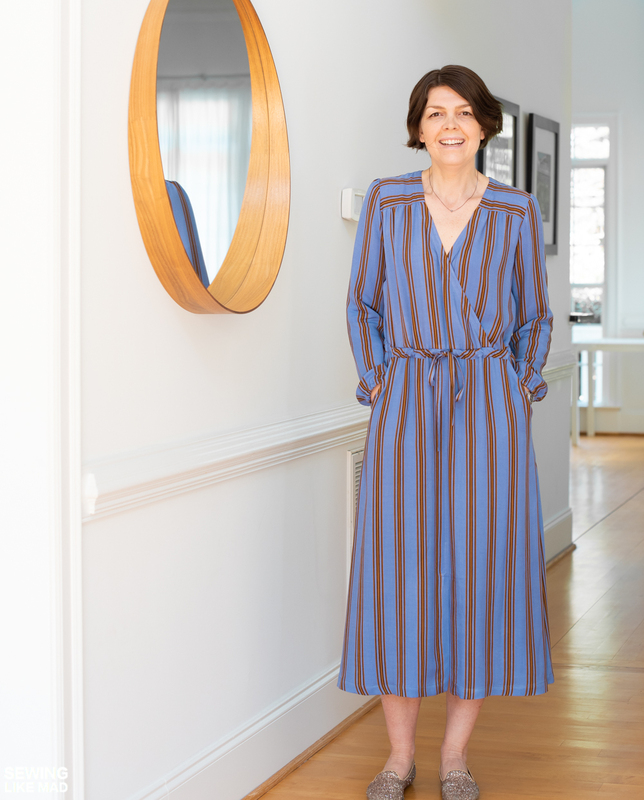 I made mine in a viscose which meant it has beautiful drape. 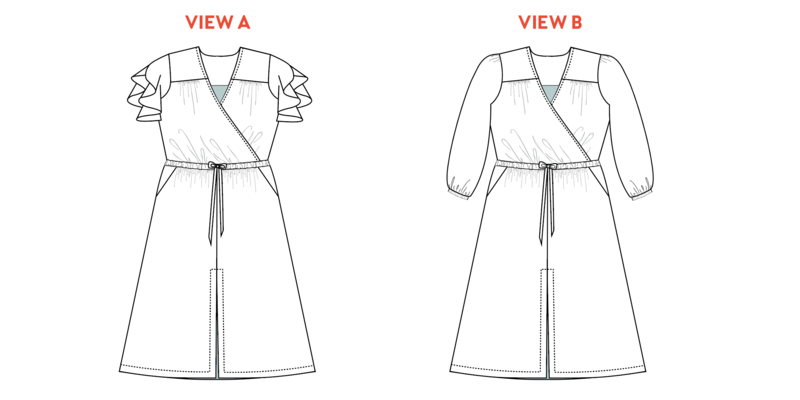 The instructions were comprehensive and the bodice part in particular is beautifully drafted with lots of tailoring details that make it feel like a special make. The extra details mean that the construction took maybe 5-6 hours but I think this dress is definitely worth it. Ive already bought fabric to make a summer version with short sleeves. 5 out of 5	My favourite dress pattern!